Finance – Art & Speed partners with national and local lenders who understand classic and vintage car values and financing. Turn your motoring dreams into reality. Club Room – Art & Speed specializes in the highest quality exclusive cars, and provides an experience to match. The Club Room is an elegant lounge, comfortable and relaxing. The Club Room is a meeting space for clients and is available to rent for events and parties. Consignment – Art & Speed introduces sellers of the finest vintage autos and luxury cars to the world’s most discerning buyers. Our consignment program ensures that a vehicle gets proper attention and effective marketing to reach buyers where they are. Detailing – Art & Speed knows the smallest factor can make the biggest impression. When we say that we detail a car, we mean it. We look deeper than the surface to make sure that no opportunity for cleaning is missed. We offer detailing as part of the consignment program or as a standalone service. Photography – We at Art & Speed take pride in presenting our collectible cars artistically to show off their best assets. Our photography services are part of our consignment program, but additional services are available including the production of commemorative books, calendars, poster sized prints and more for your muscle car, or hot rod, etc. Restoration – As car enthusiasts ourselves, we know how to respect and protect your prized possessions! Our network of quality craftsmen can handle your collector vehicle needs ranging from routine maintenance to full restoration. Storage – Space no longer needs to be a concern for your classic car collection. Our facility is secure and safe for high value cars. 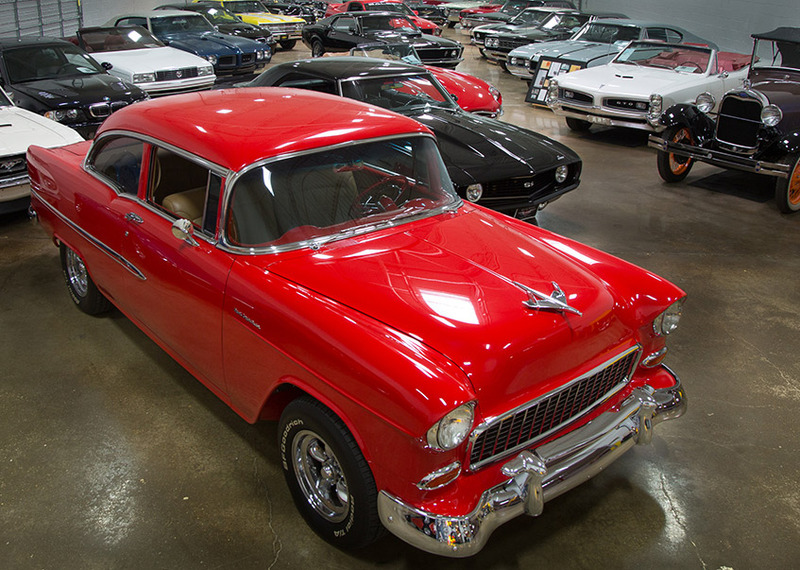 We treat all vehicles under our care as the valuable museum pieces and investments that they are.